World Marathon record holder Eliud Kipchoge is the man to beat as organizers release the list of nominees ahead of the SOYA Sports personalities of the year ceremony set for 11th January 2019 at the Historic Fort Jesus in Mombasa. Kipchoge will however face tight race against Rugby star Willy Ambaka and Harambee Stars goalkeeper Patrick Matasi after the 2018 season. Others on the list of nominees for the top gong include Commonwealth and Africa champions Elijah Manangoi (1,500m) and Conseslus Kipruto (3,000m steeplechase). Kipchoge, who is the Olympic Marathon champion, started the year strongly with victory at London Marathon in 2 hours, 04 minutes and 17 seconds on April 22, which was the 15th fastest time over the distance, having won at the same course in 2015 in 2:04:42 and 2016 in 2:03:05, missing the world record by eight seconds. On his way to the WR and his third Berlin Marathon title, Kipchoge also broke the 30km World Record setting new times of 1:26:45. Rugby star Willy Ambaka was Kenya’s top try scorer this season with 31 tries from 155 points in 54 matches, feat that guided Shujaa to break the half-a-century-mark for the first time for 104 points. 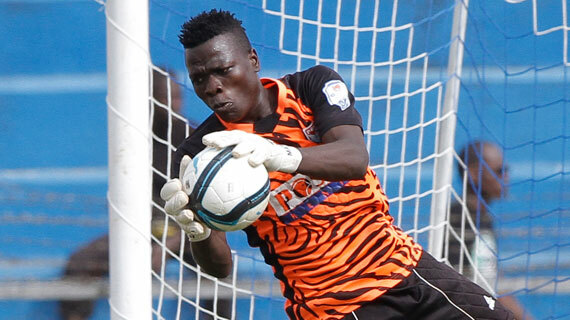 Kenya's Custodian Patrick Matasi kept a clean sheet against Ethiopia in Africa Cup of Nations qualifier which helped Kenya book their ticket to this year’s Africa Cup of Nations for the first time in 15 years. Despite finishing second at the Kent an trials, Manangoi, the World 1,500m champion, went on to win his maiden Commonwealth Games title in Gold Coast, Australia, clocking 3:34.78 on April 14.He then followed it up with his first African title clocking a Championship Record time of 3:35.20 in Asaba, Nigeria on August 5. Manangoi would end his season in style, winning his maiden World Cup also known as the IAAF Continental Cup in Ostrava, Czech on September 9.